I came across this historical marker during my long run on Sunday at Sea Ranch. 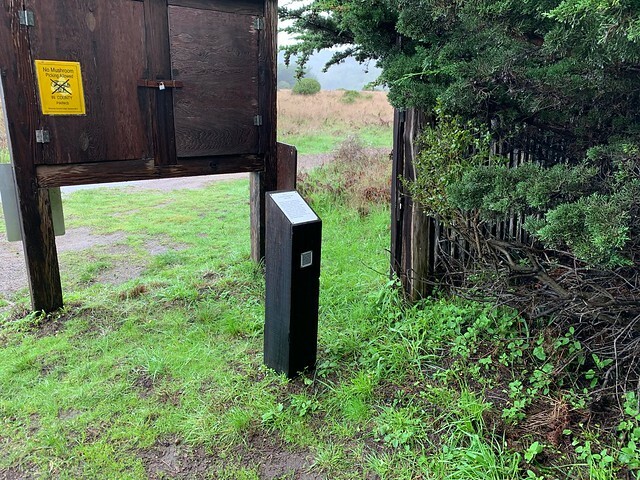 This site is located on the Bluff Trail between the Northern edge of Sea Ranch and the Gualala Point Regional Park. The Sea Ranch Archives Committee has identified twenty-six historic sites scattered about The Sea Ranch. They have constructed trail markers with information explaining the significance of each place. They were placed as part of The Sea Ranch 50th anniversary being celebrated from Memorial Day 2014 to Memorial Day 2015. 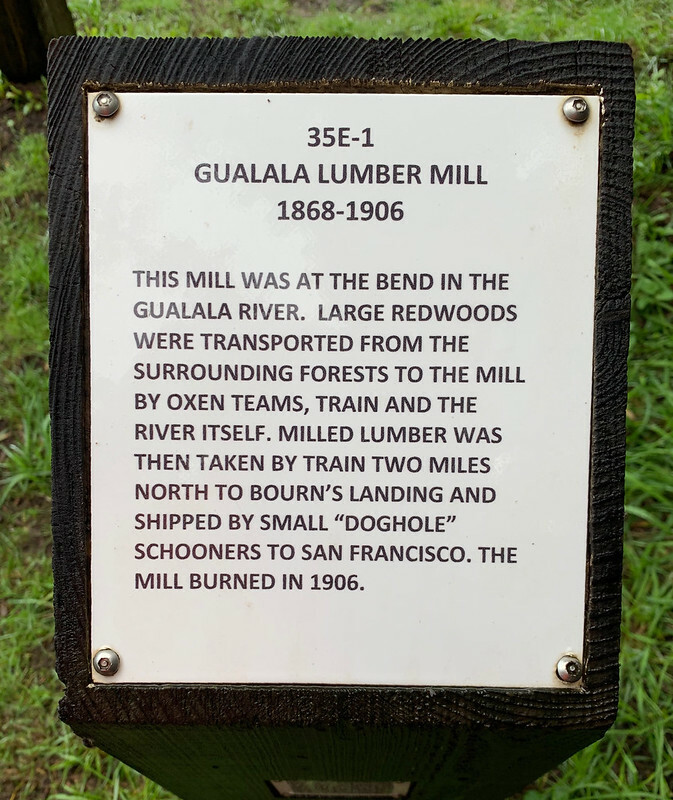 The GPS coordinates for this location are 38° 45' 27.9" N 123° 31' 35.7" W.
This mill was at the bend in the Gualala River. Large redwoods were transported from the surrounding forests to the mill by oxen teams, train and the river itself. Milled lumber was then taken by train tow miles north to Bourn's Landing and shipped by small "doghouse" schooners to San Francisco. The mill burned in 1906.